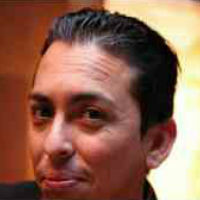 Brian Solis is one of the leading futurists/digital anthropologists in business today. And his books, “The End of Business as Usual” and “What’s the Future of Business” are best sellers and required reading to anyone interested in digital transformation. And his new book, “X: The Experience when Business Meets Design“ is probably his most ambitious — and impressive — book, focusing on the importance of experienced design and the role it will play in business today. 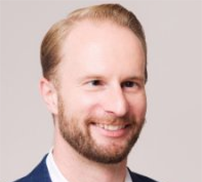 Brian shares with us a few key themes covered in the book, including why it is imperative to go beyond focusing on building products and services if you’re looking to create the most valuable relationships with customers you possibly can. In doing a ton of research, I found it very difficult to borrow or spotlight the work of others and to put it all together in a way that anybody could understand. I realized at some point that I was going to have to do this from scratch. That led to an incredible series of avoidance behavior syndrome. It was just very dense to work through. What I ended up doing was taking a break while I was writing it to write “WTF,” “What’s the Future of Business,” because that’s, I guess, what you do when you’re having a hard time writing a book is you take a break to write another one. Small Business Trends: Where did the design of this book come from? Brian Solis: When I was writing this book, I was feeling guilty in that I’m telling you all about how the world is changing and how you need to change, so here’s a book and here’s some Times New Roman font for you. When I took the break from “X” to write “WTF”, I worked with [boutique advertising firm] Mekanism to design a pseudo analog app as I called it. What we did in “WTF” was V 1.0 of what would be possible knowing that I would go all out with “X.” Then with “X,” I got crazier about it. How do you even write a sentence that is still teaching someone how to retain what they’re reading, but more so, how do you stitch them together and how many do you stitch together so that you promote bursts of learning, then promote a break with some white space or visual, and then also encourage page turning. Then I used a teenage student and the textbooks they have today as inspiration. If you could redesign the textbook so that they still learn, they still have a good experience with it, and then it’s familiar, then that’s what the business book would become. It’s incredibly intentional. 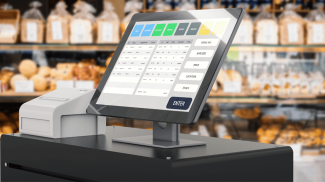 Small Business Trends: It seems like whenever there’s something new or things are changing rapidly, companies eventually are willing to throw technology at it and think that just by putting out the check to buy some new piece of technology that solves the problem. Are companies, as usual, looking for technology to be “the thing” that creates the experience, as opposed to the thing that helps deliver the experience? Brian Solis: I’ll share another personal story mostly because this one is a life-changing experience for myself, just for me as I was writing it. In the research that I was doing, when I would ask people about experience, everyone said, “Yes. We think experience is the most important thing.” Then I would ask people, “What is a good experience or how would you define an experience?” I got about 100 different answers. It was clear that as a whole concept of what experiences are and how you would even go about evoking them in a desired sense was elusive at best. Maybe why there’s some magic to it. We weren’t going to be able to move forward if we didn’t understand what a great experience is and what it could be, and compared it to what an experience is today, and then compared that to our brand promise. Really what I was feeling was as you turn each page you’re getting the shift in perspective in a good way. It’s actually about forcing you to shift your perspective. You’re actually doing it on your own. The book was designed to help bring you to a blank slate so that you could see the world differently as you move forward. In one of the examples I talk about in the book, I say that, “We all just sort of need that moment where we question everything in a productive way.” Right? In business, when we see new technology, we use the Save icon or the remote control process of a document technology. It’s all based on legacy foundations. How we see the world, how we make decisions, how we move forward, and so we take innovation and we go into iteration. This is a time of innovation where people think differently. People have different values. Right? People define success differently. People make decisions in micro moments. They don’t go through a journey like you and I used to. If Uber can come along and change the entire game for how you move from Point A to Point B, because they had the luxury of a blank slate, but yet that kind of disruption can happen to any kind of business because everybody has the ability to start with a blank slate. How would I take all of this new technology to improve the customer experience or to improve the employee experience based on the experience that they want to have. Right? How would that look differently? I walk you through shifting that insight or that perspective differently where you recognize like, “Oh my gosh. I was about to take this whole CRM system. I was about to take all of this mobile infrastructure and throw it into, or plug it into, or bolt it onto the customer journey as it exists today. If you go through any mapping, if you go through any journey management, all you’re doing at best is iteration. This is the same problem that the remote control got. Right? Everything just became more complex. At some point, people will make decisions to get away from the complexity because you’re not doing business the way that they want to do business. By the time you get through the book, you’re already starting to see new possibilities in everything. I wanted to inspire people to feel like they could see the world through the eyes of their customers, the eyes of their employees in order to be more like them, to be innovative rather than to force people to be more like us. Small Business Trends: If you had to choose one or two things that you would like people to come away with from reading this book, what would they be? Brian Solis: I would say that the one thing is to recognize that part of the intention of the book is personal transformation. To see the world differently for its possibilities and appreciate how you got to where you are today in order to see where you can go tomorrow. It’s written for the reader. I know that sounds weird because most books are, but it’s really meant to have a one-on-one connection with each person because they’re all going to go do something different when they’re done reading the book. That’s okay. I want them to know that that’s okay. It’s intentional. Whether you apply it where you work today or you’re inspired to go do something else at a place that will appreciate it, that was for you. The second one is the change is hard. Change takes time and it’s psychological as well as technological. That is also okay. The way the book is laid out is just take it in steps and find the opportunities that will allow you to accelerate. Maybe take the experience and decide where you study your brand promise and you study how experiences are felt and shared today. Mine the gap and then figure out short-term ways to reduce friction and start to close it. That’s a good place to start, too, but beyond that, this kind of book will be with you for the next couple of years. This will be your guide so don’t expect to do everything overnight, but that you are the change that’s going to bring about the future business. Small Business Trends: Brian, where can people go to learn more about the book and to get a copy of it? Brian Solis: They can go to xthebook.com or they can go to Amazon or their favorite bookstore. If you tweet me @briansolis, I would love to hear what you think. Brent: I look forward to listen to your interview with Brian Solis!